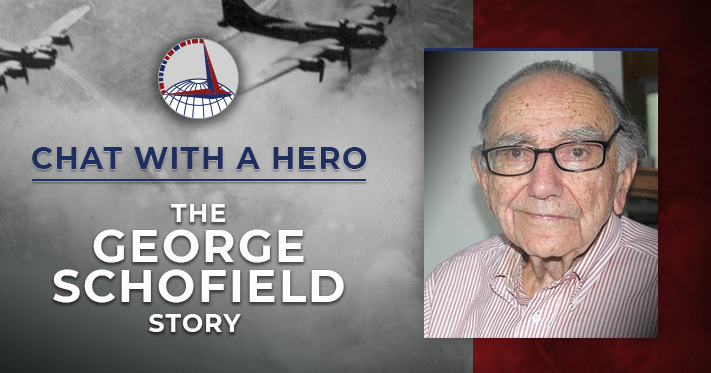 As part of our educational program, the AMC Museum will be hosting Chat with a Hero—The George Schofield Story on Saturday, 4 August 2018 from 11:00 am–2:00 pm, in the main hangar. During World War II, as a young U.S. Army Air Force officer, Lt. Schofield was a member of the Air Transport Command’s 2nd Ferrying Group stationed at New Castle County Airport, Delaware. He served in World War II as an aircraft navigator using celestial navigation and ferried aircraft such as the B-17, B-25, and B-26 to combat crews all over the world in support of the war. He was discharged in 1946 and reactivated for the Korean War and Cuban Missile Crisis. He later retired from the New York City Fire Department as a captain in 1978. Please join us to hear his exciting life stories from his days in WWII to his experiences as a NYC firefighter. This event is free and the museum is free admission and parking. Had a great time hearing him speak during his presentation and talking to him afterwards.